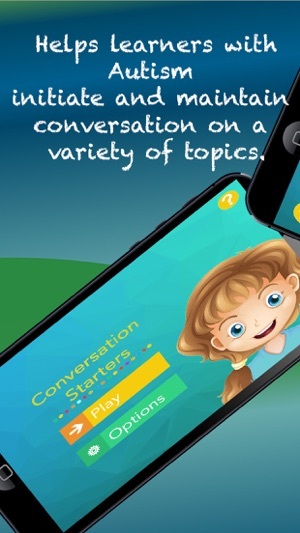 The “Conversation Starters” app helps children with autism initiate and maintain conversations on a variety of topics. 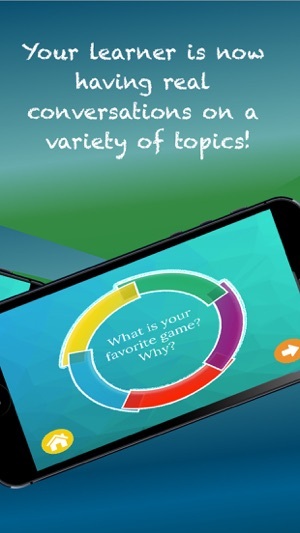 “Conversation Starters” provides 200+ conversation-starting questions on a variety of topics. 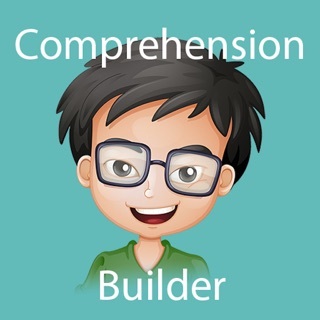 This broad diversity supports your learner in moving from their preferred topics. 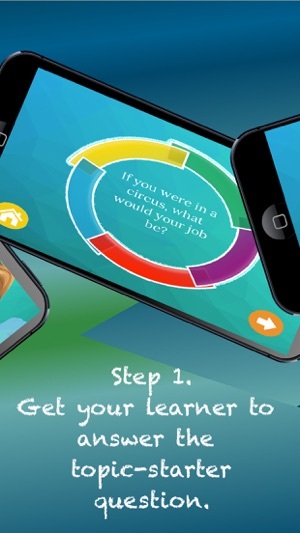 Build your learner's skills by stepping through the following skill development steps. 1. 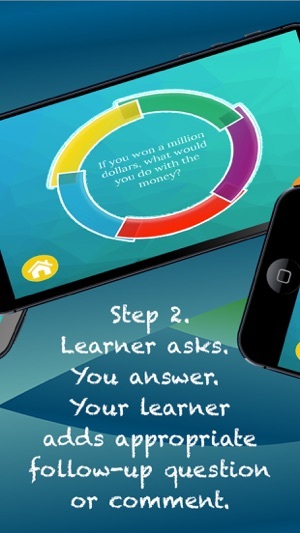 Get your learner to answer the conversation starter question. 2. 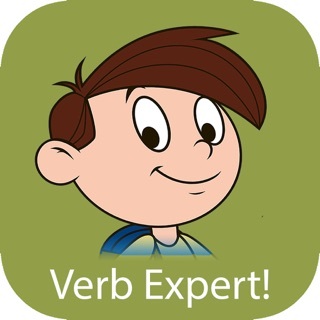 Get your learner to ask the question then listen to your answer, then provide an on-topic follow-up question or comment. 3. 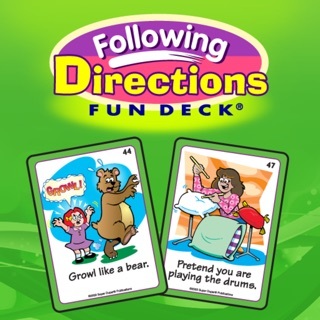 Take turns starting a conversation and set a goal of 2, 3, or 4 turns each. 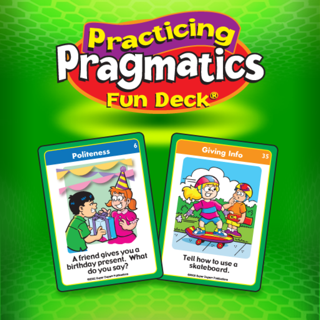 Guess what... you are now having real conversations on a variety of topics! - need support in moving beyond their own special interest topics. 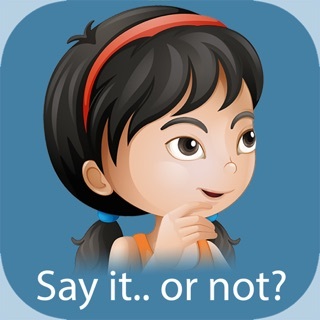 To evaluate the app, download the free version, which has 10 conversation starters only. 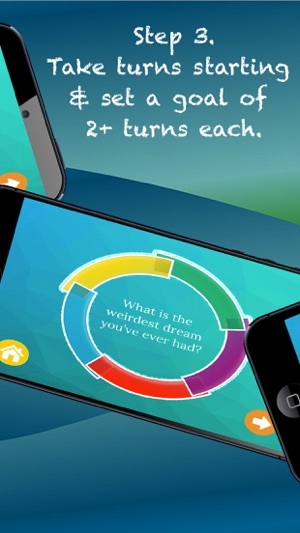 The remaining conversation starters can be accessed with an in-app purchase. 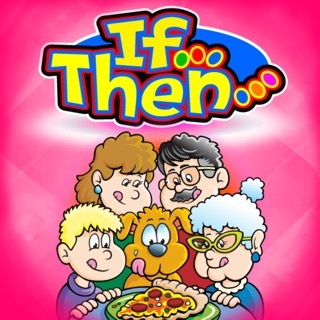 If you prefer no in-app purchases, download the paid version of this app, which includes all conversation starters. We just got rid of a tricky little bug! Most users won't notice a thing.